If we ever talk about the history of railways in India, we are to revolve anywhere around Mumbai, as common people we are to only understand that the first train ran between Mumbai and Thane in 1853, but we have so far failed to explore within Mumbai of how the railway expanded within Mumbai or how did the iconic structures such as the Victoria Terminus came into existence or the importance of the history behind the stations within Mumbai beyond their contribution to the suburban system of Mumbai. 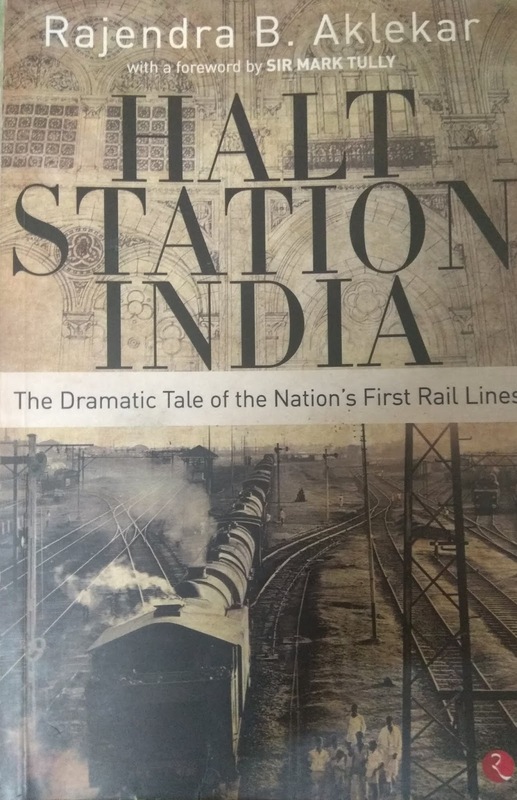 This is where the book Halt Station India by Rajendra B Aklekar plays a very important role in helping us fill the gap left behind by various authors when trying reconstruct the history of Indian Railways. The book has been systematically stitched to understand the people and the challenges behind the expansion of India’s railway and how the rail line was constructed and the periodic intervention of pictures and account excerpts of men who were actively involved in the construction. But what forms the fascinating part of the book is detailed description of the stations that fall within the suburban lines. It is not very abruptly described, which means that the while reading through the stations, the very words, “as the train moves” makes one feel as they are really moving through stations and as the train is slowing down at the station and one taking a stroll station for the time as one reads the story of the station involved in the reading. It is more of a train journey that takes you through the stations through the harbour Line of Mumbai or be it in the historic period of BB&CI (A private railway company under the guarantee system of railways). But the reading is not completely passive. The author also keeps the readers aware about the contemporary developments along the stations which are today’s lifeline for the suburban railway, thus linking the nostalgic history and the ruthless contemporary development, which is slowly diluting the essence of once iconic stations. The very important observation in the book is while reading the book, one at times feel that the very reading has become slow, but it is the slow-paced reading what makes the reader involved and helps grasp the information, though the very volume of information is slowly absorbed through multiple readings, it escalates the interest in readers with every reading. 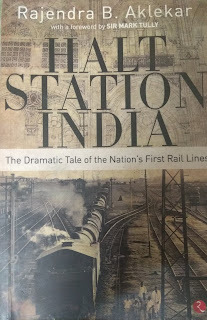 Mr. Rajendra did a commendable job of conveying the history through simple, concise and lucid language, making history accessible to even people who might hold little or no interest in the field of railways. The book is an instrument to arousing interest in the railways and evoking the awareness in people on the rich history that the railways share alongside also reflecting on the dynamism of railways. Thus, at the end of the reading, the reader takes alongside a rich culture, history and an enhanced understanding of the dramatic tale of India’s first railway line. Mr. Rajendra’s research and narrative style is highly commendable on a subject as unique and complex as that of India’s first railway line which goes beyond Mumbai and Thane.